Human factors psychology is a multi-discipline academic specialization that focuses on a range of unique topics of interest in psychology and engineering. For example, ergonomics, human errors, work site safety, product engineering and human-machine interactions. While most people interchangeably use the ergonomics and human factors to describe the same field of study. However, they are very different fields. Ergonomics focuses specifically on work processes and movements while human factors psychology is an integrated approach of ergonomics, engineering and psychology. Human factors psychology is the scientific study of the relationships and interactions between products, processes and people. 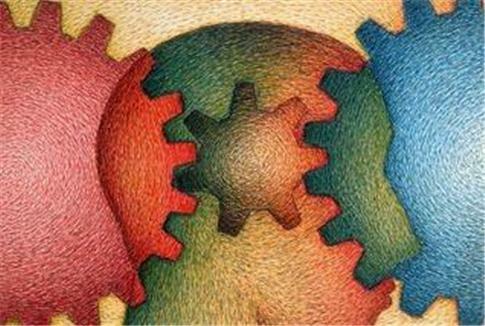 Human factors psychology borrows advanced social, learning, cognitive and experimental psychology theories and techniques. Human factors psychology is very different from mainstream psychology because almost all research and experiments are done in the field in business or industrial settings. Therefore, design and engineering are major parts of human factors psychology. Consequently, human factors psychology has nothing to do with counseling, mental health or psychological problems. The rudimentary theories of human factors psychology began to develop during the 1950’s when industry experts and regular psychologists attempted to improve airplane safety. For example, human factor psychologists have vastly improved airplane and tower staff processes and communication methods for better air flight safety. Throughout the years, human factors psychology has expanded to the fields of computing, manufacturing and product design. For example, scientists and engineers began studying how to design consumer products that are more user and ergonomically friendly. Today, human factors psychologists work in almost any situation that involves people working with products, machines and environments, according to the American Psychological Association. Therefore, human factors psychology allows students to work in almost any field. How is Human Factors Psychology from Other Psychology Branches? Many psychology branches are driven by academic research in university settings. However, human factors psychology is almost 100 percent applied and conducted in the field. Human factors psychologists spend the majority of their time conducting research into the relationships between human behaviors, perceptions and cognition within a framework of product usage and workplace environments. Their goal is to solve real-world problems that people and organizations face every day. Ideally, there will be safety, performance and functionality improvements. For example, a human factors psychologist might conduct research on a certain workplace product, such as a computer interface screen by workers at an industrial plant. After conducting observational and qualitative research, the human factors psychologist will attempt to redesign the interface screen to increase accuracy and ease of use. As a result, many human factors psychologists are expected to assist with designing training programs aimed to increase productivity, performance and accuracy. These programs also focus on reducing work related injuries, accidents and mistakes. What are Common Topics and Specializations? Human factors psychologists often choose to specialize in a subfield. This includes common concentrations such as product design, usability, and engineering. Unique concentrations include cognitive ergonomics, which is the scientific discipline of making technology systems compatible with human cognitive abilities and limitations at work. On the other hand, user experience engineering carefully studies how workers interact with tools, technology and systems in order to improve functionality and efficiency. Finally, error prevention is one of the most important specializations because it plays an active role in reducing quality and safety concerns. The goal of human factors psychology is to design better processes and products so that companies can increase safety, efficiency and productivity. Human factors psychology allows students to experience a dual career in design and psychology.